RV Days with Jessica and Harry: That's All She Wrote! It has been quite the few days. We had just three days left to work when I last posted a blog, and they went pretty quickly. I entertained myself by counting down the work hours. 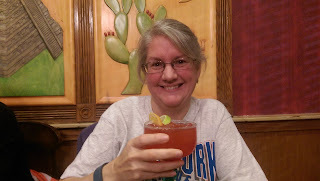 After we got out of work on the last day, we made one last trip to our favorite local Mexican restaurant and I toasted to the end of Amazon Season #3 with one of their yummy margaritas. As soon as I have a few days to breathe, I will do a post covering all the number stuff from the season – probably when we get to Jacksonville. 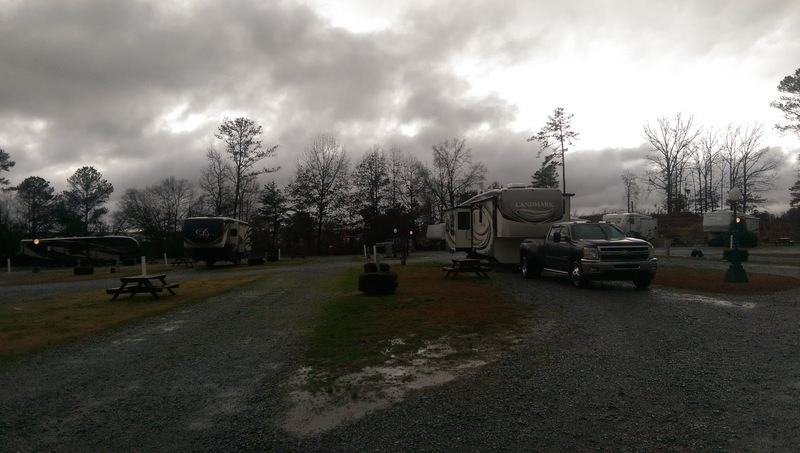 We went back and forth over the last few days about whether we would leave Campbellsville on Wednesday or Thursday. 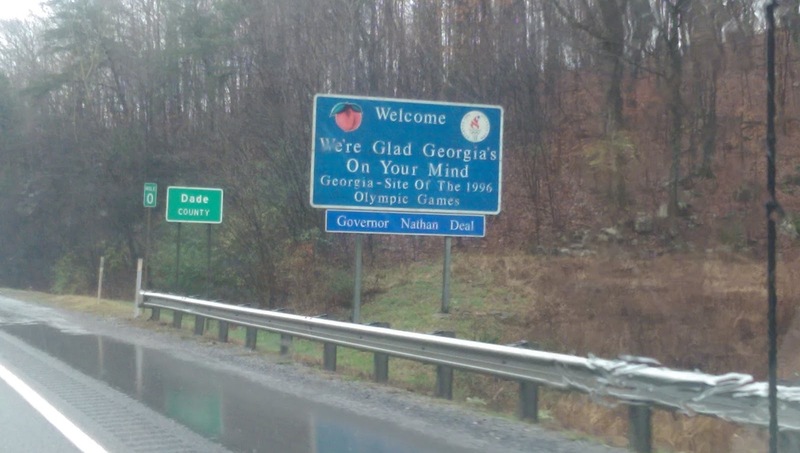 The weather on Wednesday for the Atlanta area was looking pretty nasty on Monday night so we had all but decided to wait and go on Thursday instead. 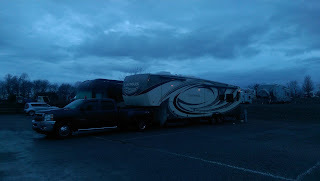 Our plan was to call the campground after work on Tuesday (our last day) and change our reservation. But then when we got home, I watched the weather one more time and it had changed, with late Wednesday into Thursday being more the time frame for the storms. So we changed back to our original time frame, planning to just get up and leave as early as we could. We got ready early but we didn’t beat a lot of our neighbors. 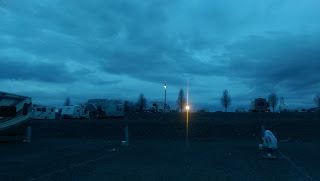 There were probably a dozen rigs that pulled out between 5:30 and 7 am! I don’t think there is any possible way we could pull out that early. Even though we didn’t pull out as early as people around us, we were still ready remarkably early for us, being all hooked up and ready to go before the sun was even up. By the time we said goodbye to all the friends who hadn’t left yet, we ended up pulling out around 8:20. Not too bad! 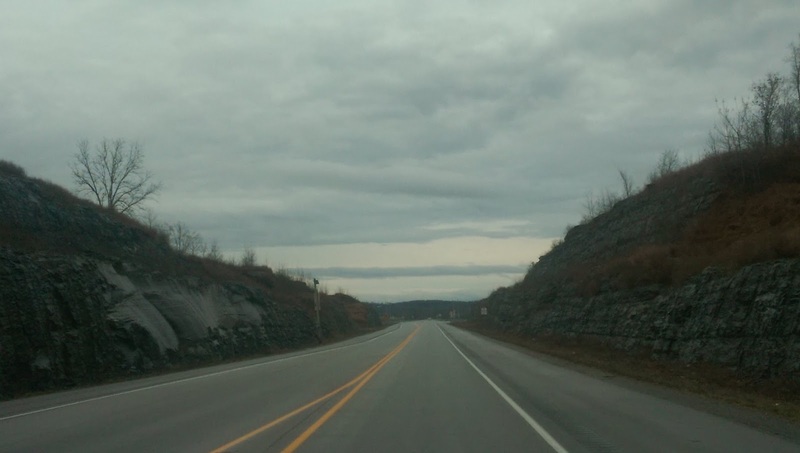 We were very happy to have dry roads and even a small glimmer of blue sky as we started out. 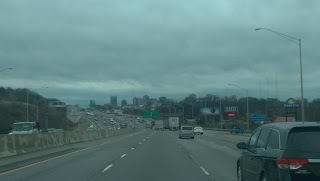 It was a dreary traveling day for the most part..here we are coming into the gloomy looking city of Nashville. We made it almost to Chattanooga before we hit rain, but then it was rainy pretty much for the rest of the trip. We were happy to see the sign for GA knowing that our traveling day was almost at an end. 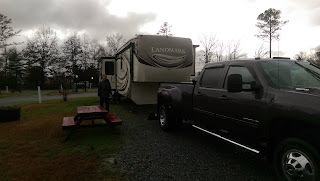 It was about 3:30 when we pulled into our spot at Harvest Moon RV Park. We were tired and ready to call it a day. This morning we celebrated our freedom by staying in bed until almost 6 am! 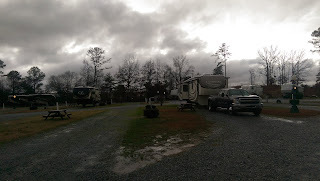 I am feeling so thankful at this moment that we are here and don’t have to travel today, and that we didn’t have any severe weather overnight. Ready to do some Christmas celebratin’! Wishing you both a Merry Christmas and a well earned rest. 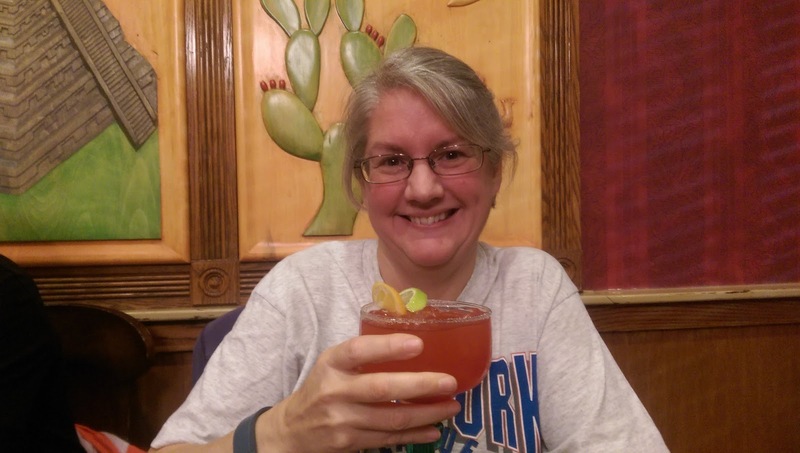 Glad to hear your weather wasn't too bad and that now you can relax and enjoy. Merry Christmas. And now for a respite and more good times...........Merry Christmas! Merry Christmas! There's no way we could get up that early, night shift is a whole different beast to come down off of :-). Till next year! Merry Christmas to you and Harry! Enjoy your time with family today. Congrats on your completion of your 3rd Peak season! We finished up 12/22 for our 1st Peak.....maybe survived is correct word but we feel it was worth it! We already reapplied for next year here at Haslet.